Captain Jack And The Furious Few is a Below The Radar production for BBC Northern Ireland with support from Northern Ireland Screen’s Ulster-Scots Broadcast Fund. He was a teenager from Portaferry, one of the original Top Gun fliers, who blazed a trail for every navy pilot who flew in his wake. Jack McCleery joined the Royal Naval Air Service during the Great War in 1917 – serving on the Navy’s ‘hush-hush’ ship, HMS Furious. Captain Jack would go on to take part in a top secret mission that would be one of the pioneering achievements of World War I. With the help of a treasure trove of Jack’s diaries, letters and photos from his time on board, a new BBC One Northern Ireland film, Captain Jack And The Furious Few, tells the forgotten story of a naval experiment that would revolutionise warfare. 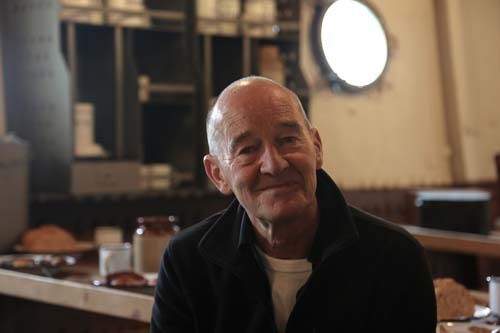 Presented by Scottish actor and broadcaster David Hayman, Jack’s story is one of bravery, sacrifice and a leap into the unknown by an elite band of fliers. With war raging, the navy were looking at new technologies and testing at the very forefront of naval aviation. The Wright Brothers had only taken to the air in 1903 and flying was a risky business. Life expectancy for new pilots in 1917 was just 11 days. Of the 14,000 British pilots killed in the war, 8,000 of those were killed training. Jack and his elite team of aviators would achieve a number of world ‘firsts’ during this experimental period. Their Squadron Commander, Dunning, would be the first pilot to successfully land a plane on a ship at sea – HMS Furious. And Furious would become the world’s first aircraft carrier – transforming the way naval ships are built to this day. With insights from Jack’s son, John, and experts including historians Guy Warner and Dave Morris, the programme includes archive footage of the historical flights and Jack’s unique collection of photographs, diaries and letters home. Viewers can follow Jack’s story of how the son of an Ulster-Scots linen family from Portaferry would play a key role in the future of aviation.